TAIPEI (Reuters) – Taiwan is not intimidated by China’s military drills this week, President Tsai Ing-wen said on Tuesday, after the latest Chinese military maneuvers were denounced by a senior U.S. official as “coercion” and a threat to stability in the region. China’s People’s Liberation Army said its warships, bombers and reconnaissance aircraft had conducted “necessary drills” around Taiwan on Monday, although it described them as routine. “As you may be aware, China’s armed forces yesterday sent a large number of military aircraft and naval vessels into our vicinity. 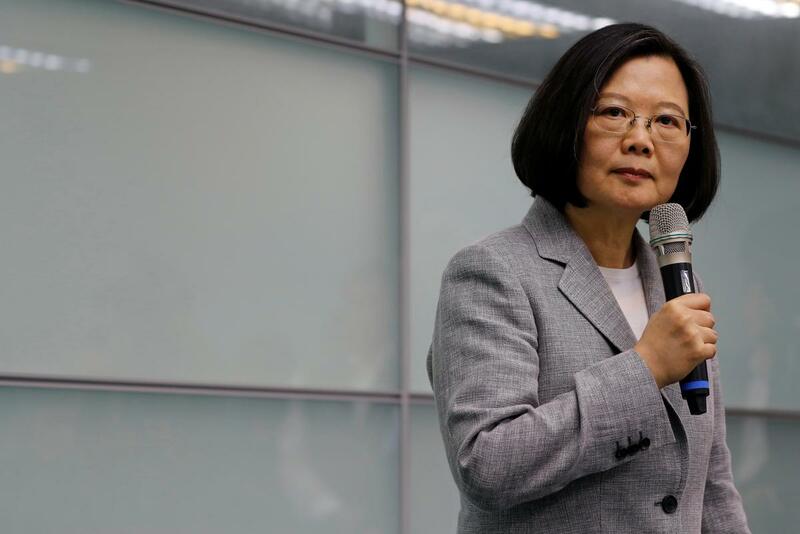 Their actions threaten Taiwan and other-like minded countries in the region,” Tsai said. Taiwan scrambled jets and ships to monitor the Chinese forces on Monday, its defense ministry said, accusing Beijing of “trying to change the status quo of the Taiwan Strait”. The goal of the drills was to practise a “combined firepower assault” that included electronic jamming from aircraft under the protection of fighter jets, the People’s Liberation Army Daily reported on Tuesday. Bombers “screamed” towards the area and carried out “sudden attacks” while warships occupied assault positions and conducted attacks on “enemy” fire points, the official paper of China’s military said. Landing forces reached specified waters, which were circled by helicopters at low altitude. The paper cited a Chinese military representative as saying the drills were annual, planned exercises that were “completely within the normal legal rights of a sovereign country”.